OOOH Yeah! It’s time for the brand New Stampin’ Up! Idea Book and Catalog. 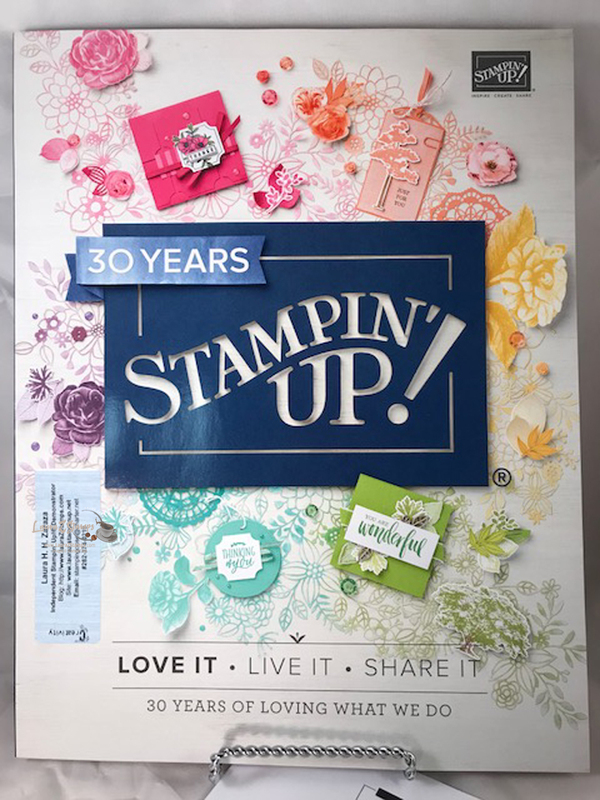 It’s also Stampin’ Up!’s 30th Catalog, which means it’s also their 30th Anniversary. WOW! It’s an exciting year. I really can’t wait for you to look at this catalog, see all the amazing new stamps, color refresh, papers, etc. There is a ton of new information and product to see. The ideas and samples are so cool, you will want to make everything. The Designer Series Papers, well, you are going to need all of them. I can help you with that! Seriously, if you do not have a Stampin’ Up! Demonstrator, I would love to earn your business. If you are a follower of my blog and it’s been a long time since you placed an order, now would be the time for you to place one. I truly appreciate your orders. 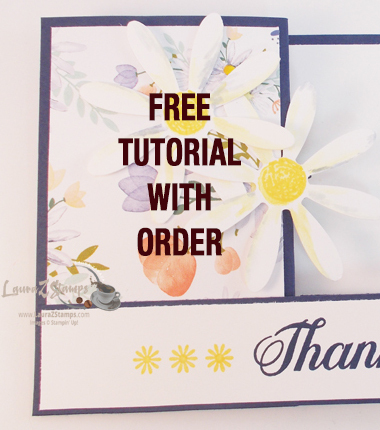 I send out a tutorial PDF to your email as my way of thanking you. You can click and download the catalog PDF on the right side of my blog. Now, everyone knows, it’s always better to have the catalog in front of you, in your Hot little hands!! Go ahead and click on Free Catalog at the top of my blog. I give away Free Catalogs, to anyone located in the USA. You just pay the shipping. I am sure you will love the little extras that come in your package from me. 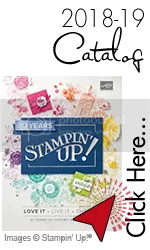 Plus, Now is the perfect time to become a Stampin’ Up! Demonstrator. Click here to learn more and to see if it’s just what you need. Like it says on our catalog-Love it-Live it-Share it. Stampin’ Up! is my Passion. Stamping and Creating works of art, one card or project at a time is my Passion. Giving handmade treats to random people, that’s my passion. I share Stampin’ Up! with everyone I meet. That’s my passion. And now you know! How about a little treat idea using one of the most beautiful Designer Series Papers we have ever had. Super fun. Now go ahead and download the catalog and ENJOY!